As promised this is my second in a series of posts I’ll be doing on meal prep! 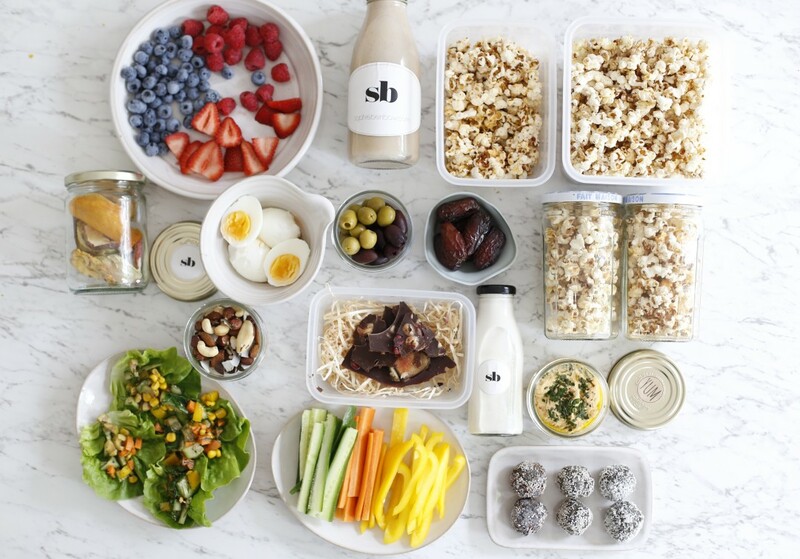 This post should give you some good ideas and inspiration if you are struggling to find easy, healthy snacks that you can take with you when you are in a rush or ‘on the go’. If you have been following my blog you will see that I’ve tried to include a lot of recipes that are already on here, so just click on the links for the recipe’s (hopefully you have made them already!!). True to form they are easy and quick to make! Melt the cacao in a pan. Add syrup, cacao powder, vanilla powder and salt. You can make my ‘messy lettuce cups that I have linked above OR you can be creative with any filling. For the one pictured I used chopped peppers, carrots, cucumbers, olives and mixed herbs (dill, parsley and sage) and dressed with olive oil and apple cider vinegar. I hope you are enjoying my meal prep posts! Once you get into a routine meal prepping will become part of your routine and you will get used to buying the same fresh, natural ingredients that you can get creative with. If you would like to see something particular for my next meal prep post please leave me a comment below or if you have any feedback I’d love to hear from you!